Envirosafe Ireland provide Cairpol Odour Monitoring Systems for Wastewater Treatment Plants. CairTub allows the easy deployment of autonomous measurement points virtually anywhere. The system can be used in harsh weather conditions. It is also the ideal tool for low cost studies for the optimisation and setting-up of fixed air quality monitoring stations. With an autonomy of 21 days, these measurement systems consist of a stainless weather protection case for exterior use even in bad weather conditions and the micro-sensor CairSens, adapted to the low concentration measurement of pollutants to be measured (O3/NO2, H2S and Sulphur compounds, NH3) or other compounds of specific interest. 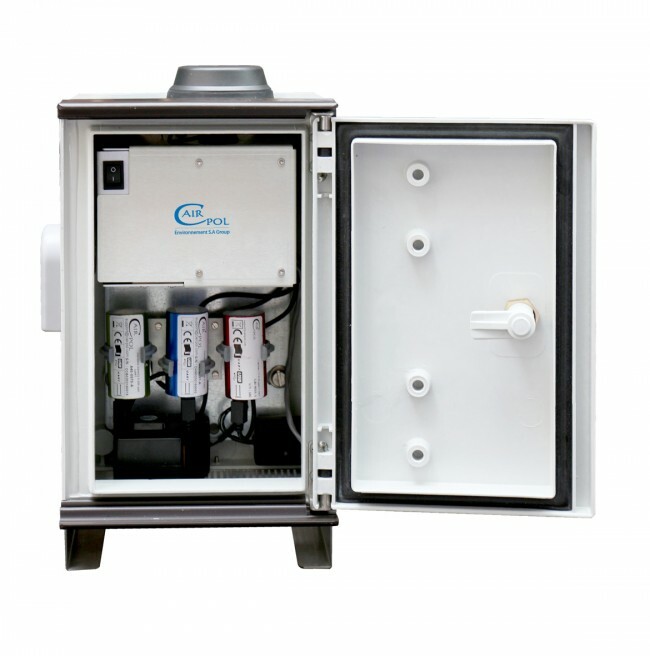 Initially designed for oxidising (O3 / NO2) monitoring to warn asthmatics of real-time pollution levels, Cairpol sensor range has been developed further to cover industrial applications including the measurement of sulphur compounds and H2S (typical olfactive nuisances from waste water treatment facilities) and ammonia (characteristic odour from decomposition processes). CairNet is a simple and efficient way to monitor processes and plant surroundings via a wireless communicating network and autonomous (solar panel and battery). CairNet surveys fugitive emissions of toxic gases or odourous gases around waste water treatment plants (WWTP), allowing you to react quickly to gas leaks. CairNet allows the wireless survey of hundreds of measurement points within a 200m radius of the wireless receiver for a much efficient installation cost. 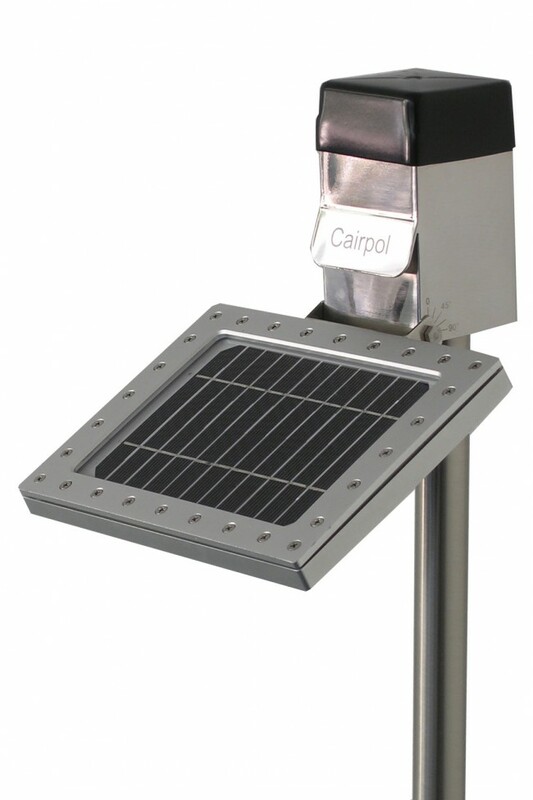 Cairpol systems can be used for fugitive emissions and odour measurement on industrial sites like waste water treatment plants (WWTP), landfill, compost plant, along a street or motorway, or in any sensitive area. Cairpol monitoring systems also offer the possibility to measure continuously pollutant levels in workshop atmospheres, houses and public buildings. Taking into account the effects of increasing air pollution on human health, Cairpol allows new real-time measurement possibilities of pollutants (gas, odour or particulate) even at very low concentrations (ppb). Completely autonomous and able to detect ppb pollution levels, Cairpol miniature sensors cause a great stir in the air quality monitoring world, with an installation cost level never being so low until now. Cairpol patented technology is used in many industrial applications. One such application is wastewater monitoring, which previously was too costly with conventional monitoring systems. Internal data logging capacity: Up to 1 year, depending on the setting. The amperometric sensor consists of three electrodes: the working electrode (anode), the counter electrode (cathode) and the reference electrode. The gas to be analysed is diffused through a permeable membrane towards the sensitive electrode. Depending oo the gas, oxydation takes place at the anode, or reduction at the cathode. The electrical signal generated between the two electrodes is proportional to the concentration. CairTub©: Protective housing for stand-alone outdoor application, 21 days power autonomy, easy to install or move.